1. 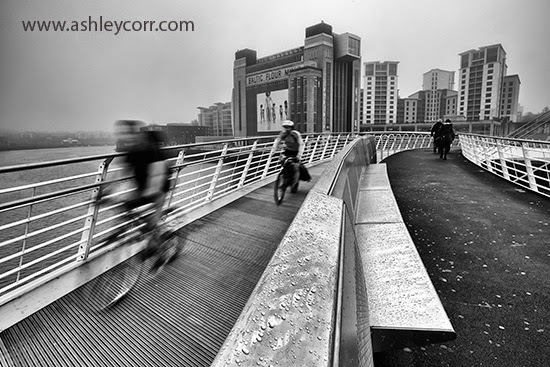 Tyneside Commute - It's fog on the Tyne, during an early evening rush hour on the Millennium Bridge. Earlier this week I printed my first Super Size Canvas prints, at 45x30 inches, stretched and wrapped round a 32mm gallery style frame. I've got to be honest, the print quality was outstanding, with pin sharp detail and true colour reproduction throughout. 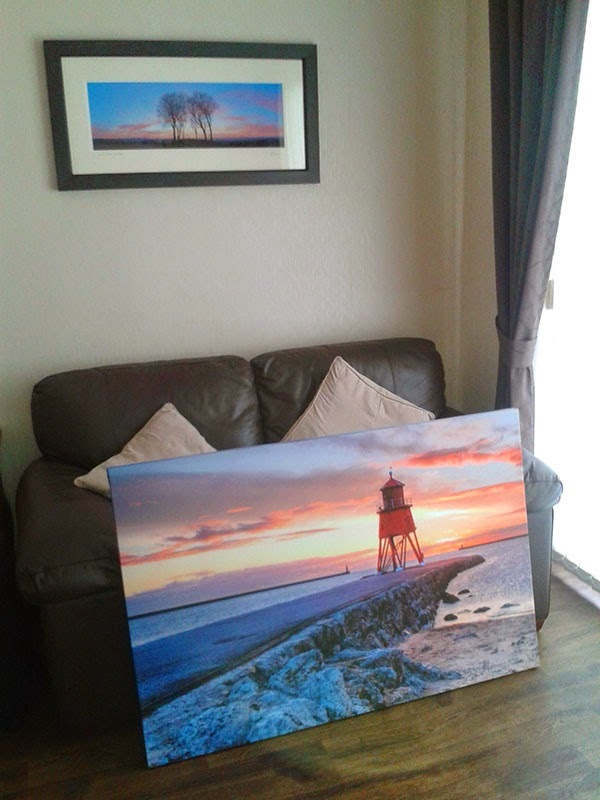 Both canvas prints were made to order and are now on display at a firm of accountants in South Shields. 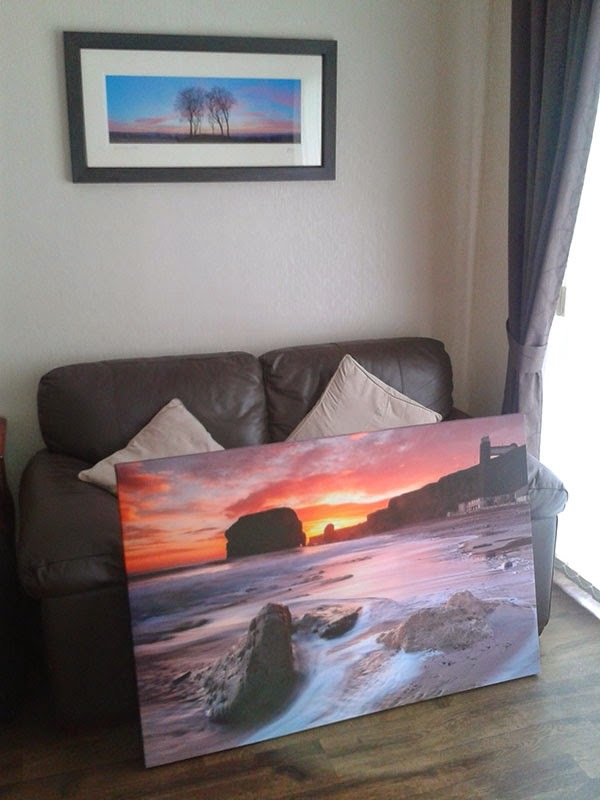 The buyer was so happy with the quality of the work she gave a very strong indication that more orders would follow, as they wanted canvas prints to display in their other branches at Sunderland, Newcastle and Hexham. As I have an extensive image library containing images of local interest, I'm fairly optimistic they can find something they like on my website, which can in turn be reproduced as canvas prints. 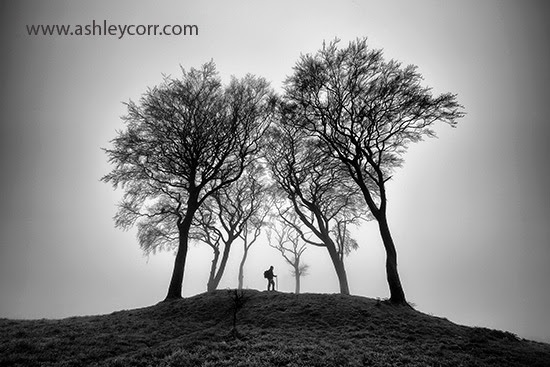 Following the success of these 'Larger' canvas prints, I will be adding this option (45x30 inches) to my new store layout which will reopen in the next few weeks at ashleycorr.com. All canvas orders will receive a first class courier delivery service (DPD) which has a turnaround of 72 hours in most cases. Canvases will be bubble wrapped then secured with layers of corrugated cardboard to prevent the product being damaged in transit. So, keep an eye out for my new online shop which will be open just as soon as I get my arse into gear and finish the pages. Almost there. On Easter Weekend I made my first ever visit to Hadrian's Wall, accompanied by friend and rookie photographer, Billy Short. It's hard to believe I hadn't walked the wall at some point, with or without a camera, so my maiden visit was well and truly overdue. Billy knew the place quite well, keeping me informed of what lay along the Hadrian's Wall Path, which stretches approximately 80 miles from Wallsend to the Solway Firth. Construction of this defensive fortification in Roman Britain begun in AD 122, during the rule of Emperor Hadrian. Steeped in history, Hadrian's Wall was made a UNESCO World Heritage Site in 1987. Although Hadrian's biographer wrote "Hadrian was the first to build a wall 80 miles long to separate the Romans from the barbarians", reasons for the construction of the wall vary, and no recording of any exact explanation survives. However, a number of theories have been presented by historians, primarily centring around an expression of Roman power and Hadrian's policy of defence before expansion. It was now my turn to tread where Romans once did, so off we went, into the sticks for some photography and a taste of historical interest. We headed towards Once Brewed, just off the main gateway to the wall, the A69. It was an hours drive from Houghton le Spring, which wasn't bad at all, especially when the roads were quite busy on Easter Weekend. To give you an idea of exactly where we were heading in relation to the length of Hadrian's Wall, Once Brewed lies approximately 45 miles from Wallsend, the obvious 'End' of the 'Wall', so near the half way marker. From the car park we headed across the pasture and beyond the surrounding trees, where we caught our first view of the wall. The sun was very low and it threw a warm glow onto the crag that led the eye along the stretch of wall towards Steel Rigg. It was a sight and a half. We walked own the dip and onto the path itself, before a very steep climb up the crag via a staircase of ancient stones, strategically placed to help old timers like myself, he he. There was barely a breeze. The sun dropped behind the hill to our left as we made our way along towards Sycamore Gap, a location that appeared in the film 'Robin Hood, Prince Of Thieves'. The temperature took a noticeable dip, and this would only worsen as the evening progressed, but we were prepared for the task ahead. 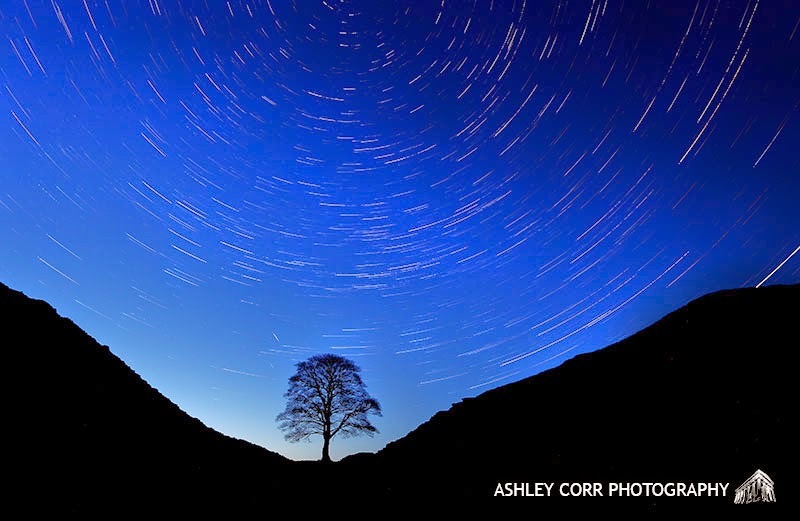 That task - to photograph the night sky with a series of long exposures, in the hope of crafting an eye opening star trail image. We went equipped with a powerful torch, thinking out loud with light painting in mind. This is an area that's relatively new to me, as I've only tried this once in before at Penshaw Monument. Billy hadn't done any at all, so we were looking forward to giving it a decent shot, despite our inexperience. Thirty minutes into the walk and we reached our stop. Sycamore Gap looked the part alright, as seen on many photographs by many different photographers. Now it was our turn. We set up our camera's and done the prep work, dialling in the ideal settings for star trails, then waited for the light to drop, which it inevitably did, and by 9pm it was All Systems Gogo. You could almost hear a pin drop. This was solitude at its very best, and this photogenic location topped it off perfectly. We were underway with the long exposures, rattling them off continuously for what was expected to last around 90 minutes, weather permitting. The camera's were doing all the graft by this time and all we had to do was brave the cold as we headed towards the last couple hours of the day. Thousands of stars shone above in the dark night sky, with the moon an absentee as the exposures rolled in. Ideal - no light pollution whatsoever, until cloud cover threatened to spoil the party as it headed our way around 10pm. Suddenly the stars had disappeared, or at least most of them, making our task that much harder, but we soldiered on (no pun intended). By 10.15pm our camera's had recorded around 140 exposures, so the decision was made to call it a day, or in this case, a night. The clouds had gate crashed the show. We packed up and made our way back across the pasture towards the car park in the distance. It was pitch black and boggy underfoot, but the powerful torch saved the day and we able to navigate ourselves away from any hazards. 1. 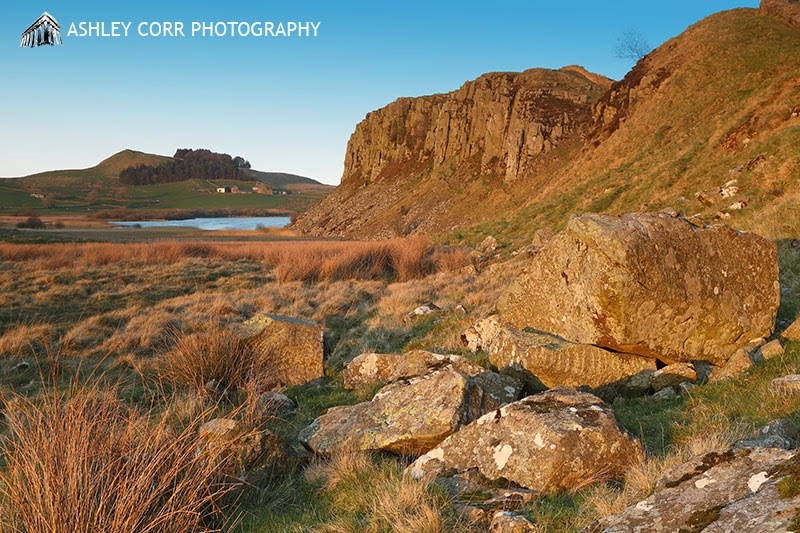 A viewpoint along Hadrian's Wall, towards Steel Rigg, as the sun was about to set behind us. 2. Sycamore Gap at dusk. That's me walking up the bank, remotely firing the camera shutter. For a brief time there was a stand off between myself and a rather aggressive Ram. Didn't know they existed, until now! 4. Static Stars. 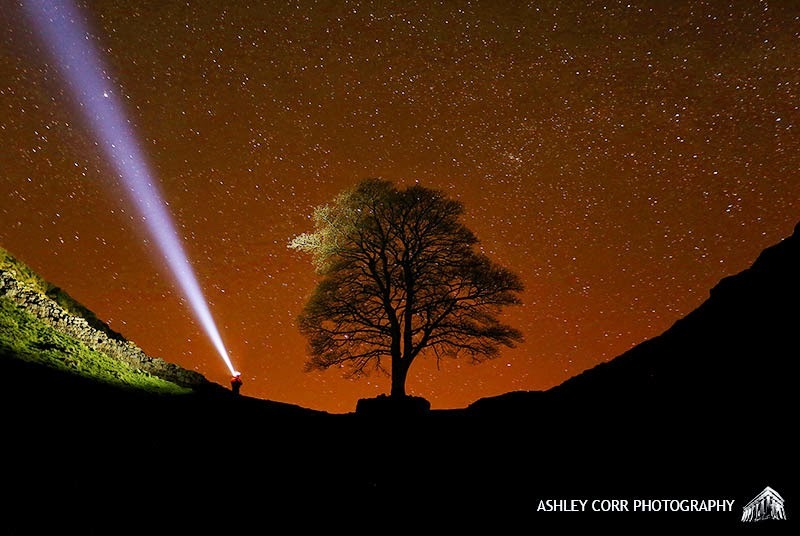 Before leaving Sycamore Gap we used a torch to add an extra element to our final shots. A nice warm glow in the night sky made for a lovely shot...Beam me up! 5. 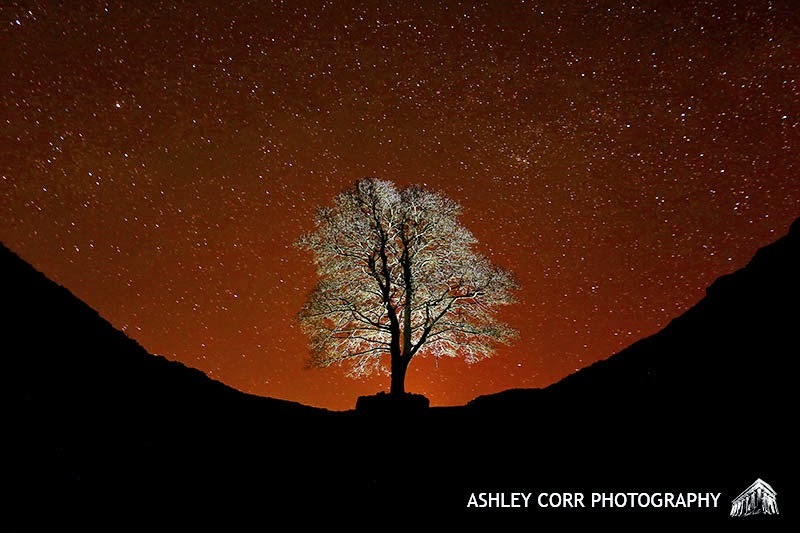 Finally, another static stars effort, with a backlit tree as the focal point. Billy knows the score with torches and light painting, although he assured me this was his first attempt! November 2013 seems a long time ago now. 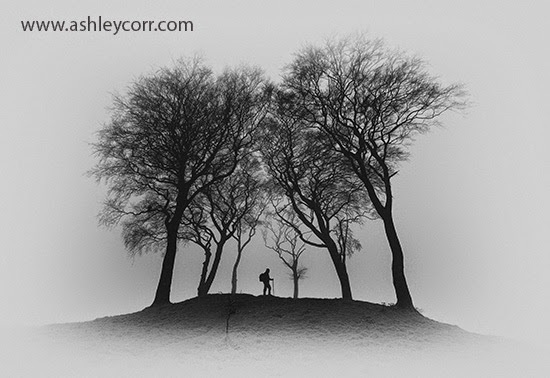 It was the last time I updated my Blog page before the big overhaul at ashleycorr.com. Now that my site is up and running once again I hope to restore normality in the shape of new updates on Blogger, starting from today, with news of recent changes. Firstly, my Canon 5D2 went to the Canon graveyard last week after it took a tumble on the rocks near St. Mary's Island, Whitley Bay. A gust of wind swept my tripod off its feet, taking the camera with it, face down in a rock pool. It suffered water damage despite the fact that my filter holder took the brunt of the impact. The attached lens was unmarked, although it needed recalibrating through my insurance broker. The camera and lens were away for five weeks, although it seemed much longer then that. Being without a camera for that amount of time wasn't a happy experience, but what can ya do? Eventually the camera body was deemed 'Beyond economical repair' and as the 5D2 had been recently phased out, my insurance company replaced it with a 5D Mk III, which I was over the moon about. The 5D2 was the camera I had wanted to get my hands on for a few years, not even considering the 5D3 because of its hefty price tag, so to own one now goes above and beyond what I expected to run with. Although I've had the new camera for slightly over a week now, I still haven't been out to test it in the field, but that will be corrected during the next few days as I have more time to play with. Having flicked through the menu settings on the 5D3 I must say that my initial findings are very impressive. Lots of upgraded features, lots of head scratching too, which seems to be part and parcel with these things, no matter how many user manuals you have ticked off the list. Currently looking at new tripods too. The trusty Manfrotto took a clout on those rocks, although I need to be more vigilant in those kind of situations. One thing is sure, it will only happen once! Also dabbling with new image software in the form of Google's excellent plug-in's for Photoshop - Nik Collection. Some really interesting stuff bundled with it. And that's about it for now. I'll have my Blog page restored to former glory in the very near future, bringing you more of my escapades form my trips into the depths of God's Country and beyond. Until then, welcome back!